Large Staffodshire Prattware Frog Mug circa 1800. These country mugs were popular for Ale or Cider, the frog being a surprise when the drinker got to the bottom of the mug. 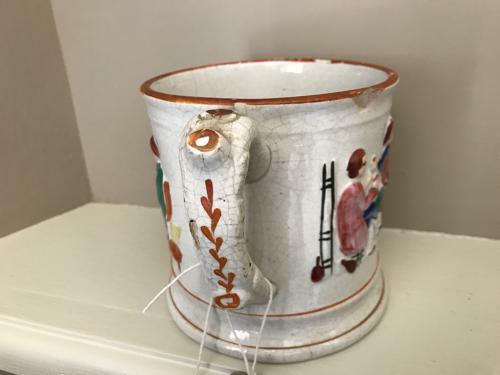 These are English eccentric pieces and overall this mug is in good condition. There is a minor hairline and a very old slight chip at the rim visible in one of the pics hence the price.